LONDON - Nov. 2, 2017 - PRLog -- CareforAir Rainbow Breezer owners were invited to enter into the latest competition by CareforAir which started last October 3, 2017. Three winners will be chosen now to win a CareforAir Rainbow Breezer each. The contest was held to see how the CareforAir Rainbow Breezer was able to help and change the quality of life of its owners, and what kind of impact a simple house appliance can make. 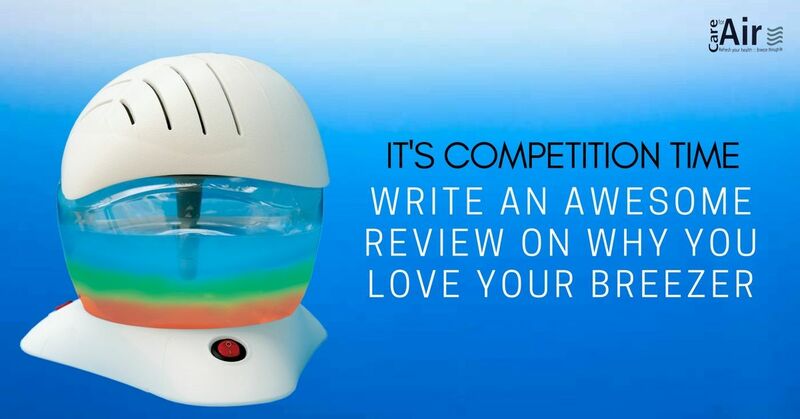 "CareforAir is excited to hold this contest as a way to reward loyal customers for their continuous support. This is the first time we have done this kind of competition and we were amazed at the number of people who joined." The competition ran for a whole month and ended on October 31, 2017. Winners will be chosen based on who gave the best experience they had after buying the Breezer and all winners will be announced on November 6, 2017. For those who don't know, CareforAir Rainbow Breezer is an air purifier that uses water as the main filter. It has a powerful motor that can run up to 24 hours without overheating. With a powerful motor the Rainbow Breezer is perfect to use in kitchens, living areas and offices but is also gentle enough to be used in rooms with a baby. The company started selling the Breezer 12 years ago and has steadily risen in popularity in the air purifier category and is looking to continue its growth for the coming years.